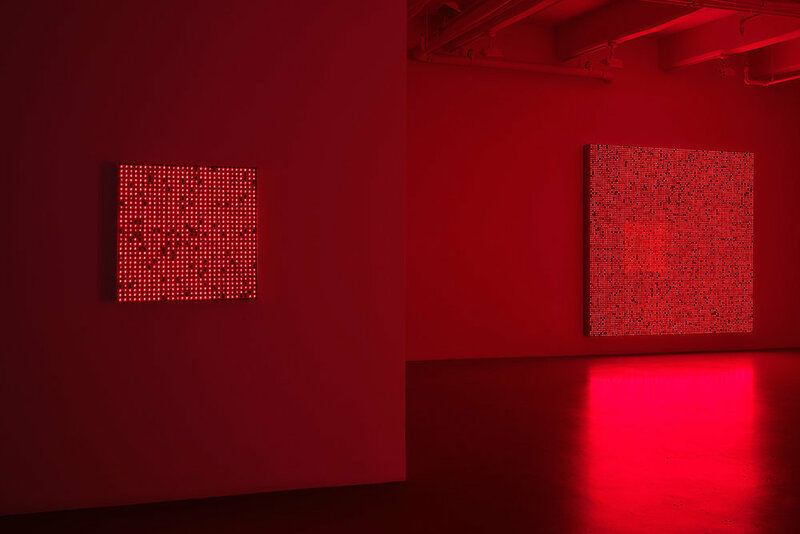 Earlier this month, Japanese artist Tatsuo Miyajima opened his first solo show in New York entitled, Innumerable Life/Buddha, at Lisson Gallery. Four works from the artists’ new series are being exhibited, introducing the US audience to Miyajima’s eastern philosophies via his signature digital visual language. 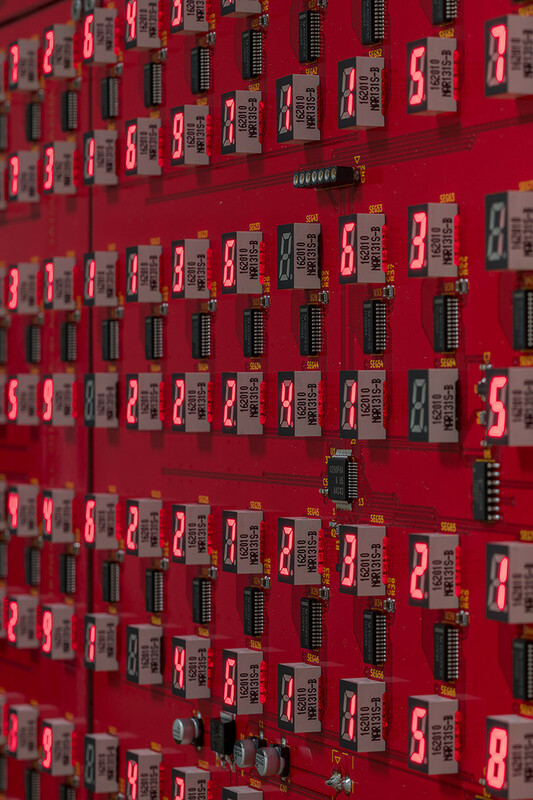 With each individual LED displaying a number that successively counts down from nine to one, each piece can be interpreted as a live performance of time. Miyajima who regularly looks to unravel how society perceives time and it’s passage, has constructed glowing red LED light installations inspired by the Buddhist’s lesson on the power of the individual within a networked whole. Each piece asks the attendees to reflect on their own notions of time, including change, death, connection and eternity. The show will extend until February 16th of this year.